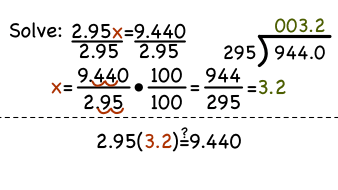 Want to see how to solve an equation containing decimals? Then check out this tutorial! You'll see how to divide decimals in order to solve an equation for a variable. Then, see how to check your answer so you can be certain it's correct!